“BIN” Ltd. is a company trusted by farmers but we don’t forget about urban environment, also. Modern school boxes makes the children happy. Aesthetic bus shelters makes our live better even on rainy weather. We designed new product line called “CITY ART” to all our Customers that lives in villages, towns and cities. 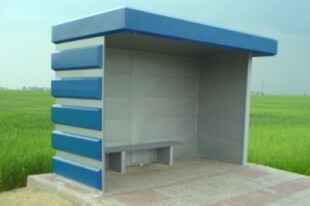 Please contact Export Department of our company if you are interested in modern bus stops, garages and school cabinets. The site is automatically translated into English language version.